In celebration of National Day, Camomilla Milano has a little treat for all. 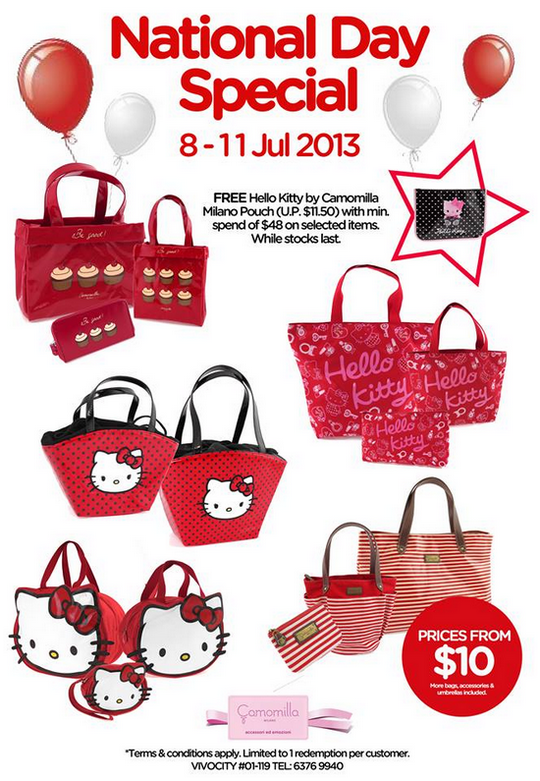 From 8 – 11 August 2013, receive a FREE Hello Kitty by Camomilla Milano Utility Case with min. purchase of $48 on selected items @VivoCity #01-119. For enquiries, call 6376 9940.